By Tim Leave a Comment - The content of this website often contains affiliate links and I may be compensated if you buy through those links (at no cost to you!). Learn more about how we make money. Last edited January 5, 2018 . When a persons dies, their retirement accounts are left to the primary beneficiaries established on the account. As a beneficiary of a retirement account, you have to follow the rules established by the IRS, and those rules can vary depending on your relationship to the original account holder. Knowing the rules will help you to make better decisions if you happen to inherit an IRA. Interesting note: If no beneficiaries are named, the account must be distributed to the estate. How it’s distributed depends on the age of the deceased account holder. If the original account holder dies before April 1 of the following year in which he or she turned 70 ½, the account must be distributed according to the five-year rule. This rule states that the entire account must be distributed in total by December 31 of the fifth year following the account holder’s death. If the account holder dies after April 1 of the following year in which he or she turned 70 ½, the account can be distributed according to the IRS life expectancy table or sooner if so desired. If your spouse passes and leaves an IRA, your options for maintaining the account are very flexible. In fact, you can treat the account as your own and make contributions to it and distributions from it as you wish. You may also roll the account to another account that you own or rollover other accounts into the account you inherited. If you are not the spouse of someone who names you as a beneficiary to their IRA, your options are limited. You cannot treat the account as your own. This means that you cannot make contributions to the account, nor can you rollover funds into the inherited account. You can actually transfer the account to a new trustee or custodian, but the account must be established as an inherited IRA in the name of the deceased account holder with you as the beneficiary. Set up payments no later than December 31 of the year following the year the account holder passed away. If the original account holder hadn’t begun taking the RMD, you can defer distributions, but must withdraw all the assets according to the five-year rule. If the original account holder was already receiving the RMD, the beneficiary can set up a distribution based on the deceased account holder’s life expectancy. The rules for spousal/nonspousal beneficiaries can be tricky to understand at first, but this table may help clarify and simplify the IRS rules for inherited IRAs. Always check with your financial advisor or with the custodian holding the account to explore the options available to you as the beneficiary. 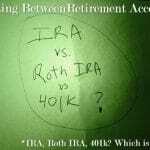 Have you ever inherited an IRA? 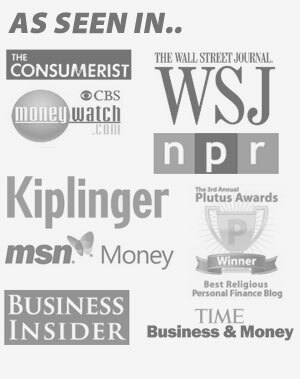 Do you have any questions about beneficiary accounts that this article didn’t cover?